Like every other morning, the team woke up early to resume working on the car. This morning began with conditioning our fuel cell and making minor adjustments before we took Alice out onto the race track for 8:00AM. 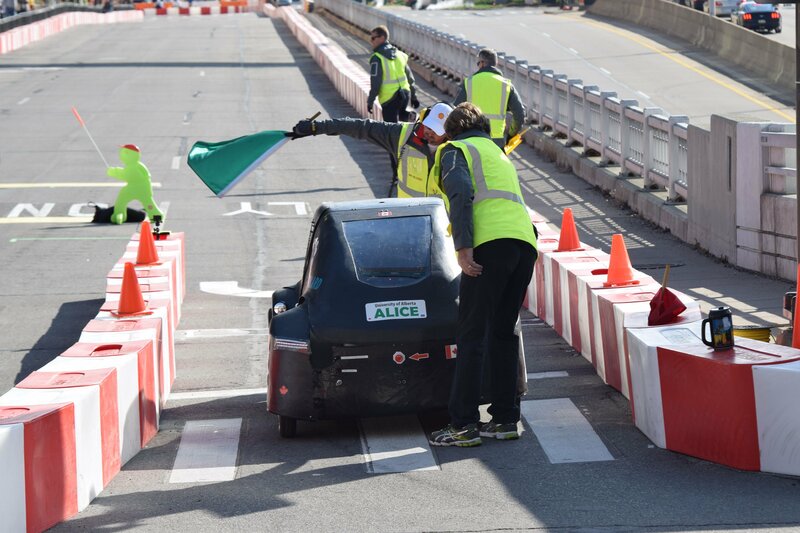 As Alice took off from the start line, the team anxiously timed her first lap to see how fast we were going. 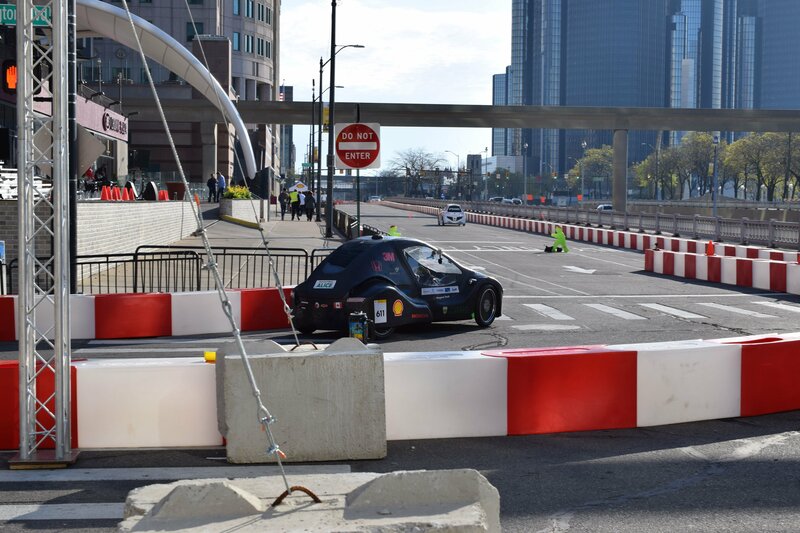 We turned out to be a few seconds faster than the 2:24 average lap time needed to finish within 24 minutes! After completing our 10 laps, we finished with about 25 seconds to spare. We did it!… or so we thought. 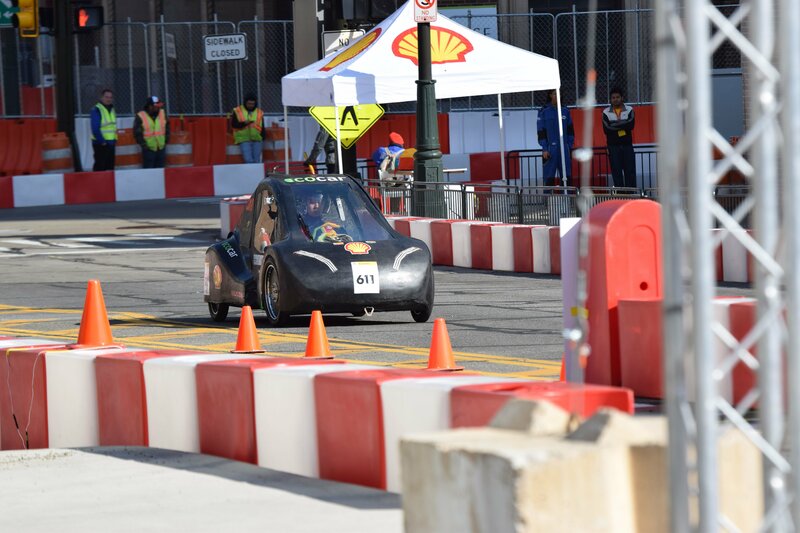 Upon crossing the finish line, we were informed that Shell’s flowmeter (which is used to track our fuel efficiency and how much hydrogen we used) stopped working after 6 laps. They would not extrapolate our fuel efficiency based on our first 6 laps, but they did give us another chance to race this morning. On our second attempt this morning, everything was going great. 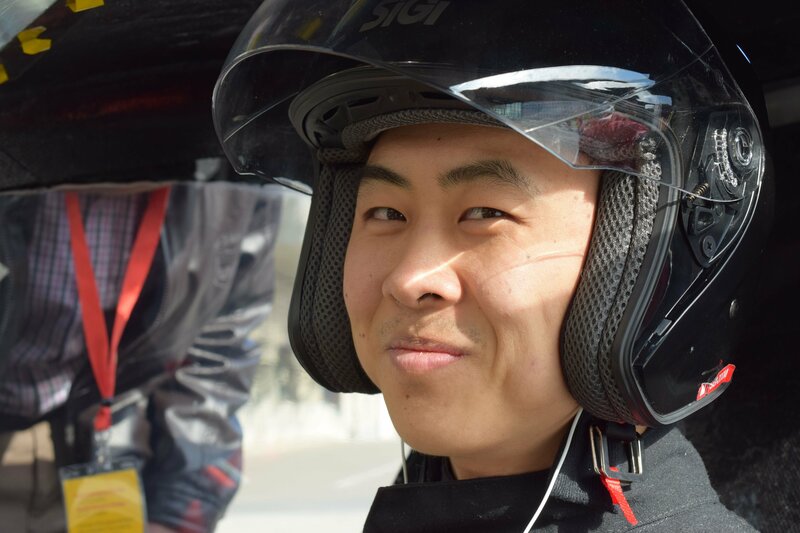 Our lap times were around 2:18, and we were confident we could finish under 24 minutes again. Then, on our 8th lap, Alice rolled to a stop. We were towed off the track. The issue turned out to be a loose connection with the fuel cell. This should be a reasonably simple fix, though because this connection is within the fuel cell enclosure, it will take some time. Our next chance to race is this afternoon, and we are optimistic that everything will go smoothly and we will be able to register an efficiency.